At Precision HVAC, our Red Hook heating and air conditioning contractors are completely dedicated to our customers. We understand how important your HVAC system is to your family and your property. Our technicians always work their hardest to ensure that our customers have a reliable and efficient source of comfort in their homes and businesses. Our heating & air conditioning professionals bring this dedication to excellence to every task we conduct, from routine tune-ups to heater and air conditioner design and installation services. If you need to install, replace, maintain, or repair the heater or air conditioner in your Red Hook home or business, call Precision HVAC today. Our polite and professional staff is here to assist you in any way that we can. Our emergency heating and air conditioning repair technicians are on call to assist you at any time. Our experts can answer all of your questions about our skills and services. We would be excited to schedule your appointment today. At Precision HVAC, our Red Hook heating and air conditioning contractors have the knowledge and skill necessary to handle the most difficult and extensive tasks. If you are constructing a new property, our technicians can assist you with designing and installing your entire HVAC system, including your furnace, boiler, heat pump, and air conditioner. 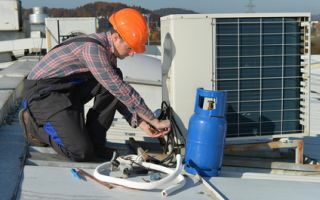 When you hire our professionals for the task, you ensure that your heating and air conditioning systems operate in the most efficient and effective manner. With our help, you will maximize the comfort that you enjoy in every room of your home or business while minimizing the amount of energy necessary to provide for your needs. You and your family are guaranteed to be pleased with the results of our efforts. Throughout the service life of your heater and air conditioner, our Red Hook HVAC professionals will always be available to provide for your routine maintenance needs. These complex pieces of machinery must be kept well maintained in order to operate in the best manner at all times. It is highly recommended that you have a professionally licensed HVAC technician inspect and tune-up your heater and air conditioner on an annual basis. Through our heating and AC tune-up services, our team can save you a great deal of money. Your HVAC system will be far more efficient than it would have been if it were neglected. You will avoid expensive repairs by preventing damage from occurring. Lastly, your well-maintained heater and air conditioner will last far longer, postponing the need for an expensive replacement. If you need to hire a professionally licensed heating and air conditioning contractor in Red Hook, call Precision HVAC today at 845-399-0669, or fill out our online request form.